Biological materials such as the myocardium or the artery are characterized by anisotropic and nonlinear material properties. The high complexity of the underlying nonlinear equations as well as fine geometrical structures of the cardiovascular components demand fast solving algorithms. 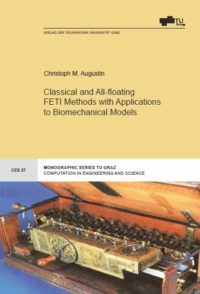 In this work a domain decomposition algorithm, more precisely the finite element tearing and interconnecting (FETI) method is applied to simulate the elastic behavior of cardiovascular tissues. This approach shows high performance and enables a natural parallelization using a decomposition into non-overlapping subdomains. After discretization FETI leads to a reduced global system that is related to discrete Lagrange multipliers on the interface of the subdomains. Here, suitable preconditioning is a substantial factor. Besides the simple lumped preconditioner and the optimal Dirichlet preconditioner a novel BEM based preconditioner is considered. 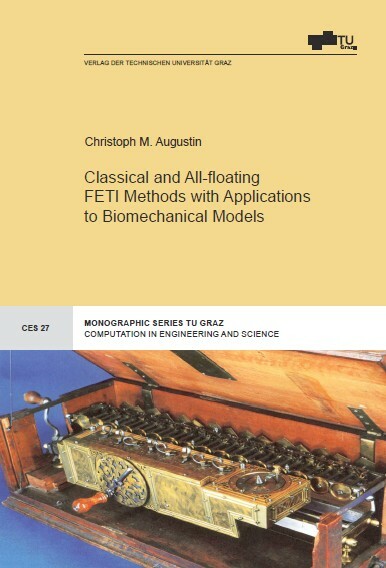 Another innovative aspect is the usage of all-floating FETI, a variant of the classical FETI method, where the Dirichlet boundary acts as a part of the interface. This approach shows significant advantages in the implementation and in the convergence of the global iterative method which is evidenced by numerical examples. These are clinically relevant passive inflation experiments, comparable to stenting or angioplasty procedures, using anatomically detailed geometries of arteries and the myocardium. Kategorien: Informatik und Biomedizinische Technik, Technische Mathematik und Technische Physik.